Villa Cerrado das Fontainhas has a large 12m x5m private pool in a luxurious garden and is surrounded by Pine, olive, orange and lemon trees and is ideally situated for relaxing and enjoying the surrounding countryside next to the capital Lisbon city. As the Villa possess 12000 meter sq area , you will enjoy your complete privacy. Villa is located in a very quate place for a perfect family holidays in a rustic way with oriental rustic furniture in a spacious and sunny place. 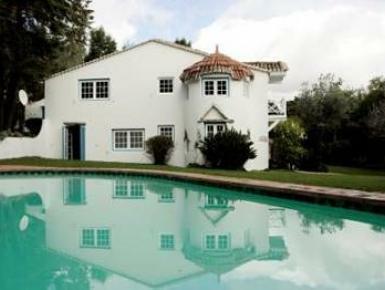 Villa is 30 min drive away from fabulous capital Lisbon city center as well beaches of Lisbon, Cascais and Sintra.